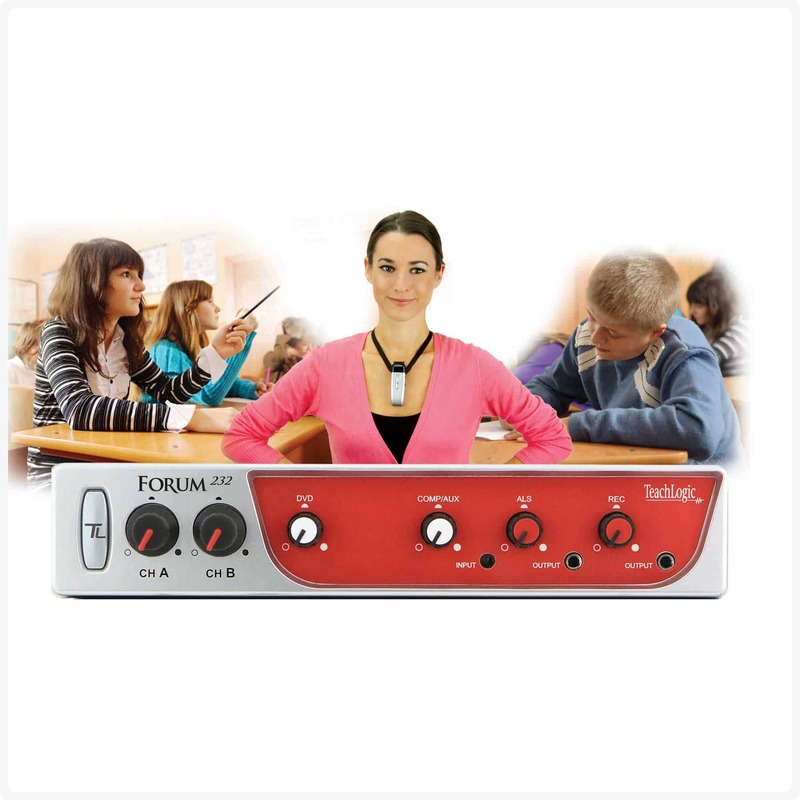 The perfect Sound Field system for classrooms that need wireless microphones and classroom audio controls for 2-3 multimedia sources, plus RS-232 wall panel integration for added convenience and Teacher Security Alert for safety. The Forum 232 is the perfect Sound Field amplifier/receiver to support wireless microphones and multimedia audio sources. 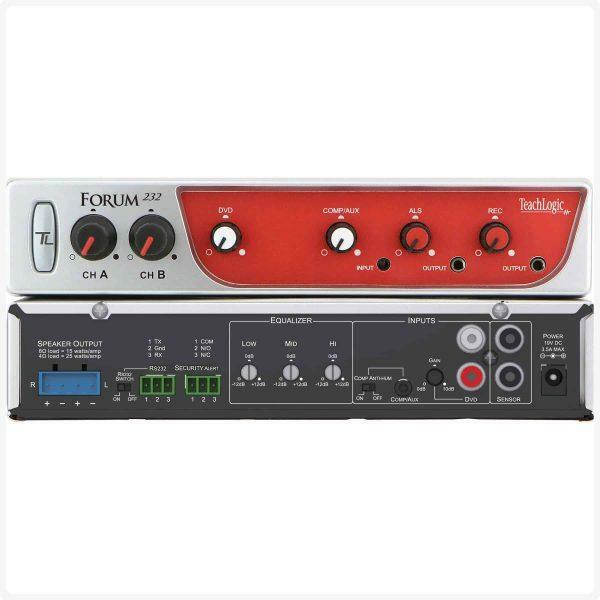 With 2 microphone channel inputs, a Digital Feedback Guard (DFG), computer anti-hum circuit switch on the aux/computer input, and an RS-232 wall panel control input for simplified control, this system will meet the standard needs of most classrooms. 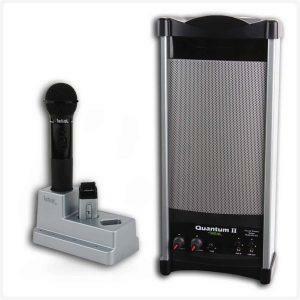 When paired with our Sapphire (IRT-60) pendant microphone, the teacher gains the benefit of remote Security Alert, remote control over audio sources, and of course, increased student engagement throughout the entire classroom.